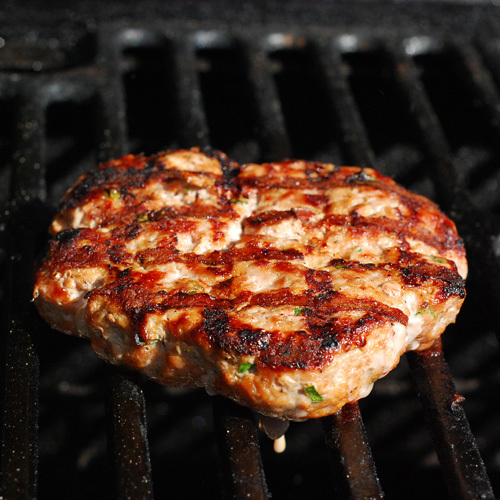 Turkey burgers are healthier than regular burgers, right? Turkeys tend to disagree with that. But, as far as nutritional aspects go, it depends. 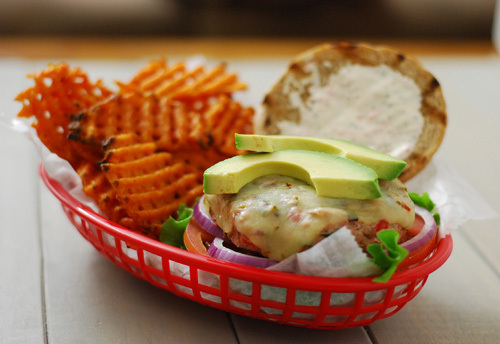 It is true that a turkey burger patty has about 45% less calories and almost half of the fat of a beef burger. But a beef burger has more potassium and is significantly lower in sodium and cholesterol. So it's not cut and dried, it depends on what your dietary needs are. 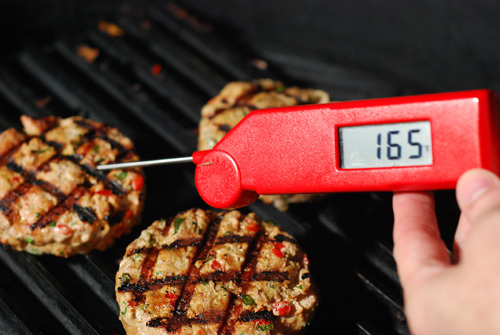 Moisture - You have to cook turkey burgers to an internal temp of 165f. Turkey is 93% lean so that can end up dry. Many recipes have you adding eggs or fat to compensate for this. That kind of defeats the purpose of cutting the fat, doesn't it? Instead, I like to add a little non-fat Greek yogurt. Talking shiitake - My secret ingredient is finely chopped shiitake mushroom. It adds texture and has two natural flavor enhancers (organic MSG and guanosine monophosphate) (McGee 9473) that will amplify your other added flavors. 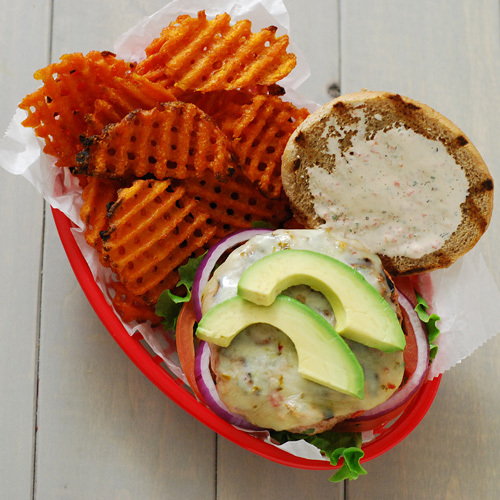 This also uses a lower fat, fire roasted chile ranch dressing to build flavor up without layering on the calories. Mix together all patty ingredients until thoroughly blended. 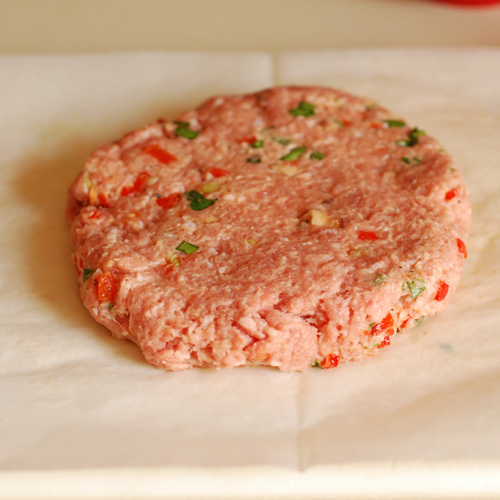 Divide into 4 equal balls and form into patties (roughly 1/3rd lb each) about 3/4" thick and 4-5 inches in diameter. Refrigerate for at least 30 minutes. Preheat a charcoal grill to 400f (medium high). 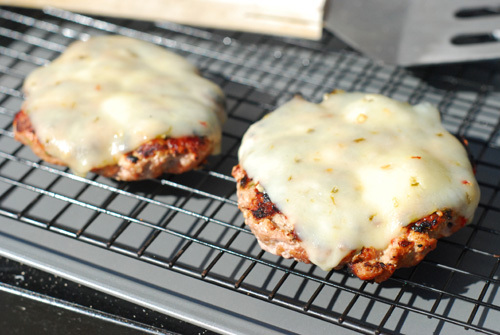 It should be at this heat for at least 5 minutes prior to grilling to get your grates pre-heated. 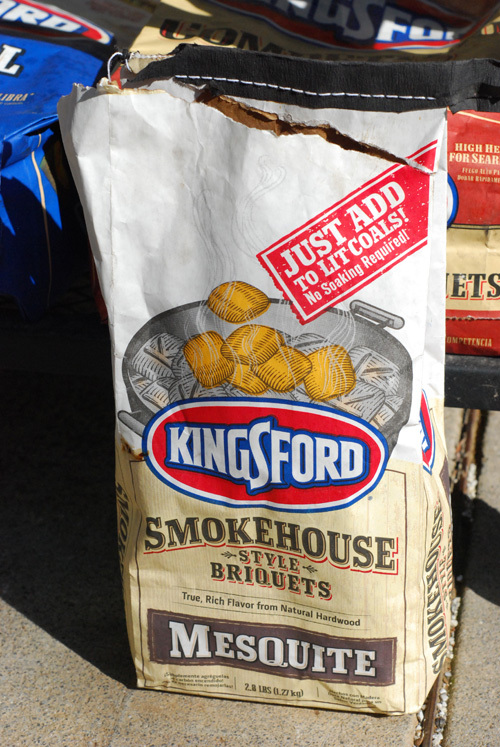 Immediately prior to grilling, add 4-5 Kingsford Smokehouse Style Mesquite Briquetes or 1/2 cup of mesquite wood chips. Flip and cook until the patties reach an internal temperature of 165f, about 3-5 minutes. Top with a slice of pepper jack cheese in the last minute or two. Remove and rest on a raised rack and meanwhile toast your buns on the grill. 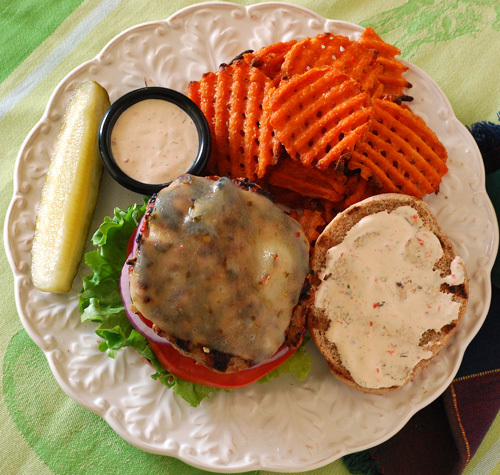 Assemble the burgers with lettuce, tomato, avocado, red onion and some of the spicy ranch dressing. Beef burgers only need salt and pepper. Turkey burgers need a lot more friends at the party. Just tossed a few of these on for smoke while grilling. But don't cook by time, trust your Thermapen instead. 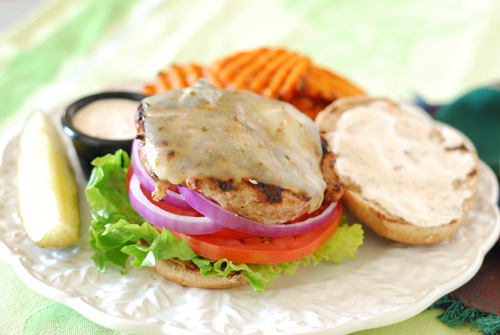 For me, pepper jack cheese is the best for turkey burgers but use what you like. Swiss is good too. Those sweet potato fries are Alexia Foods Waffle Cut Seasoned Sweet Potato Fries. I thought sweet potato fries was a natural for a turkey burger and found these at my Food City . They are slightly spicy with a blend of chiles and spices and perfect with the ranch dressing for dipping. They are the best frozen sweet potato fries I've had. We went back and bought another bag. I could see using them as the base to a great appetizer too. I don't see them on their website so they are either new or discontinued...I'm hoping new. [Standard Disclaimer] I have a partnership with Kingsford and write for Grilling.com. I have no affiliation with Alexia and paid full price for the waffle fries.